Qatar’s Energy Minister Saad al-Kaabi dropped a bombshell on Monday (Dec 3) – Doha would leave OPEC on January 1, 2019. Clearly, it was a big news, considering that the small kingdom has been an official OPEC member since 1961. The timing of the announcement was suspicious – just days before OPEC and its allies are scheduled to hold a meeting in Vienna, Austria. The reason given as to why the country would leave OPEC after 57 years aligned to the cartel isn’t convincing – that Qatar wants to focus on gas production. Yeah, right, as if they just discovered gas yesterday. Although the energy minister denied the move was linked to an 18-month political and economic boycott of the country, nobody believes him. 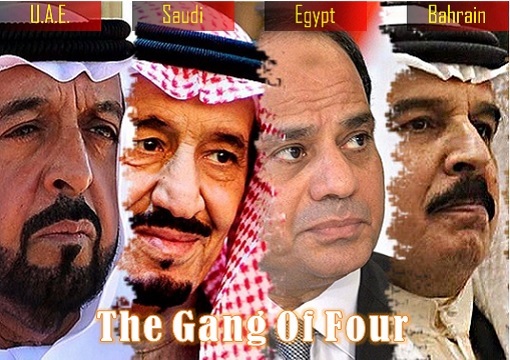 In June 2017, the mighty Saudi Arabia, together with three of its best friends – Bahrain, United Arab Emirates and Egypt – all announced that they were severing diplomatic ties with Qatar, as well as suspending air, land, and sea travel to and from the country. Yemen, Libya, Mauritius and Maldives also joined the boycott, effectively unfriended Qatar. 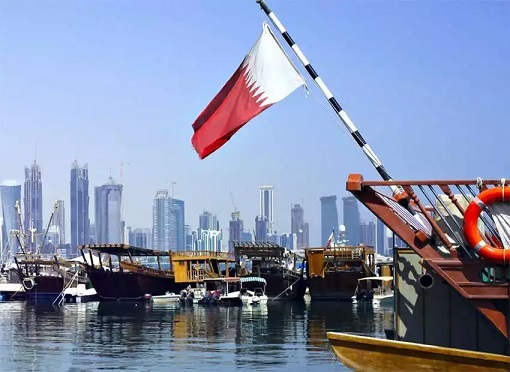 The gang accused Qatar of supporting extremists and was cosying up to arch-rival Iran and Islamist group, the Muslim Brotherhood. Qatar has denied all the allegations. Instead, it was Saudi that has been the biggest supplier and sponsor of terrorism. Impressively, the tiny kingdom survives the economic boycott, proving itself to be a hard nut to crack. Qatar’s refusal to surrender to Saudi’s intimidation has gotten Saudi Crown Prince Mohammed bin Salman really upset. The rivalry between oil-rich Saudi and gas-rich Qatar has reached a point of no return. In a dramatic plan, Saudi revealed in June the idea of cutting a canal along its 38-mile border with Qatar – and transform the tiny emirate from a peninsula into an island. The hidden reasons of the Saudi-Qatar rivalry was more complicated than that. Qatar was actually trying to dethrone Saudi as the big brother in the Middle East. Hence, Qatar quietly channeled money to Iran to strengthen the Saudi’s enemy. Qatar has even claimed that it is a descendant of Sheikh Mohammed bin Abdulwahab, the founder of Wahhabism. From the economic point of view, Saudi was increasingly jealous of Qatar’s growing “financial independence”. Qatar used to be a Saudi vassal state, but no more. Qatar no longer asks how high when Saudi told it to jump. As the biggest exporter of liquefied natural gas (LNG) in the world, Qatar is out of Saudi’s control, unlike OPEC where Saudi dominates the crude oil cartel. Contrary to public’s belief and perception about Saudi’s wealth, Qatar is the richest Arab country with a net GDP (PPP) per capita of US$124,927, follows by Kuwait (US$69,669), U.A.E (US$68,245), Saudi Arabia (GDP: US$55,263) and Bahrain (US$51,846) – according to data compiled by IMF (International Monetary Fund) 2017. In a nutshell, while Saudi has tons of oil, Qatar possesses shiploads of gas. Hence, the tiny kingdom has nothing to lose but everything to gain by quitting OPEC. Why should Qatar care about the club when it has no influence whatsoever during meetings? It does not need to follow any instruction, but can pump any amount of oil it likes upon exiting OPEC. 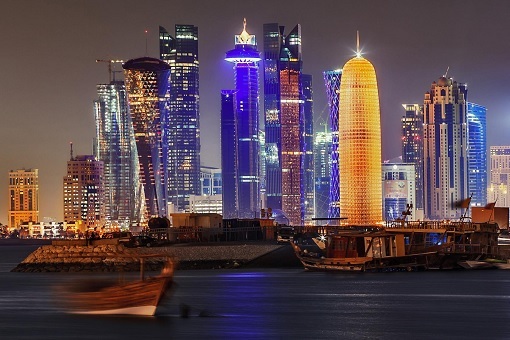 Covering an area of around 12 thousand square kilometres and with a population of almost 2.7 million, Qatar is the smallest OPEC member in terms of both area and population. It is OPEC’s 11th-biggest oil producer – pumping 1.48 million barrels per day (August 2018) – accounting for less than 2% of total output, so its departure may not have a significant impact. However, the small Gulf country’s total energy output is on course to produce more than 6 million barrels of oil equivalent per day by 2022. But in a situation where the production of every barrel counts toward the global oil prices, Qatar could frustrate OPEC every now and then. One of the hidden reasons why Qatar quits OPEC is to ensure its natural gas industry’s independence. Qatar will no longer subject to the Saudi’s decision on how much liquefied natural gas (LNG) to produce. More importantly, the tiny kingdom’s exit could encourage other small crude oil producers who are growing disgruntled with the cartel’s dominance by Saudi Arabia and Russia to do the same. If a group of small producers decides to exit the cartel it will decrease OPEC’s influence in the market. Qatar was the first country to join OPEC after the five founding nations – Iran, Iraq, Kuwait, Saudi Arabia and Venezuela – formed the group in 1960. Now, it’s the first Middle Eastern nation to leave the group. But for Qatar to quit now, it means the country sees OPEC as an organization that is fast losing its shine. After all, the only players who call the shot in the cartel are Saudi and Russia.